Horrifying scenes of burned and mutilated bodies dot the mountainous desert around the newly-liberated Syrian city of Palmyra. RT’s Lizzie Phelan has come across the remains of four soldiers, which could be among the many undiscovered victims of Islamic State. 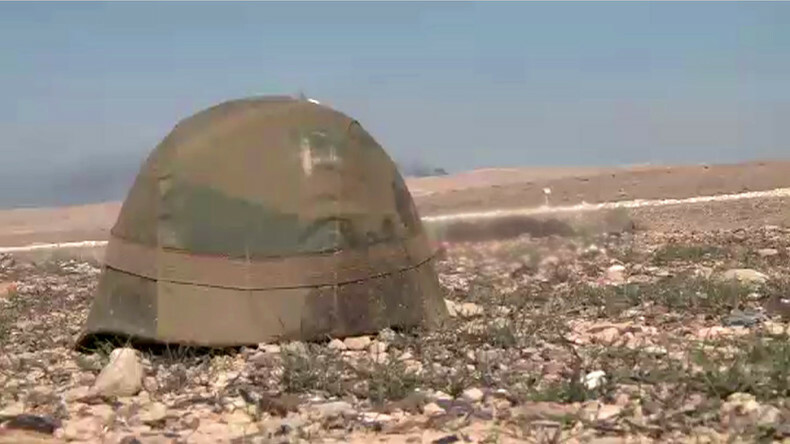 The rocky desert around the ancient city of Palmyra has seen bloody battles recently as Islamic State (IS, ISIS/ISIL) terrorists were being pushed back from the city by the Syrian Arab Army, for the second time in two years. The terrorists retreated leaving behind a trail of corpses, young and old, many of ISIS ranks but also the victims of their brutal acts. 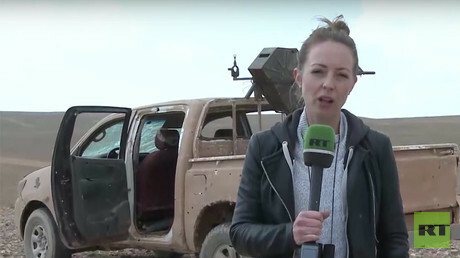 Phelan reports that the Syrian Army simply does not have enough resources to scour hectares of the desert for remains, so it was not long before RT’s crew, accompanied by the Syrian forces, came across a site of atrocities. Phelan describes finding charred and apparently decapitated bodies of two Syrian soldiers, while two more corpses were discovered in a ditch nearby. While the crew notified the Syrian Army about the horrifying find, landmines and the possibility of coming under mortar attack of scattered ISIS militants that may still be lurking kilometers away from the scene, will for now prevent more troops from being sent to search the desert, Phelan reports. One such mine the terrorists left buried in the dirt can be seen on RT’s footage. Watch RT’s Lizzie Phelan’s report for more.